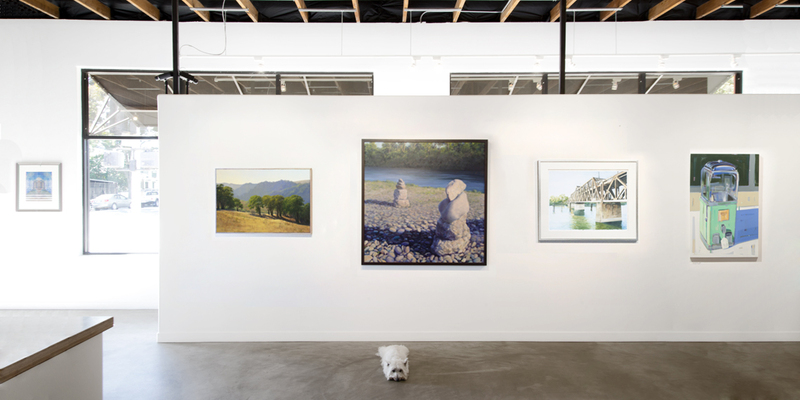 Since opening in 1999, Elliott Fouts Gallery continues to propagate the longstanding tradition of representational landscape and still life painting. The gallery also features work by various faculty and alumni from the University of California, Davis with an emphasis on Funk Ceramics. In 2012 the gallery moved to Midtown, Sacramento, where it occupies a 5,600 sq ft space that includes a large exhibition area dedicated to rotating monthly shows. With this expansion the gallery began introducing a select group of non-representational artists to round out the collection of work on display. The gallery continues to maintain a reputation for stylistic diversity within a variety of price points. The gallery's foray into the secondary art market began in 2010. A longtime collector needed assistance with reselling his collection that included works by highly sought after artists such as Wayne Thiebaud, Robert Arneson, Roland Petersen, David Gilhooly, Peter VandenBerge and others. EFG continues to maintain a resale collection and offers assistance with estate evaluation and liquidation.